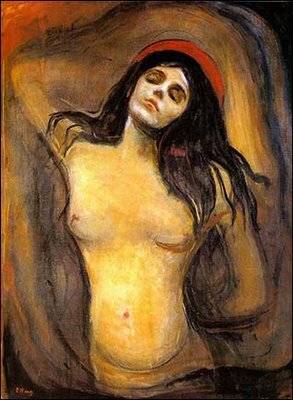 The Norwegian police are reporting that Munch's paintings - "Scream" and "Madonna" , stolen from the Munch Museum in Oslo in 2004, have been recovered. 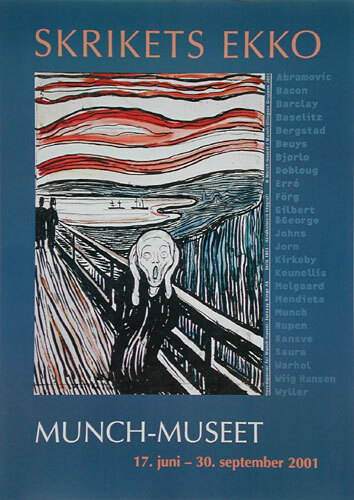 Munch's "Scream" and his numerous variations in different media have inspired a host of references, homages and parodies. The Munch Museum, before the theft, hosted an exhibition of contemporary works influenced by Munch's proto-existential painting. "In his writings, Munch connects "Scream" (1893) with a specific event - a walk with some friends from a vantage point high up on Ekeberg at sunset. Munch paints the subjective experience of "the scream in nature" as an expression of universal angst rooted in existential uncertainty. Mankind is on the threshold of a new and frightening century, abandoned by God, whom Nietzsche had declared dead in 1872. 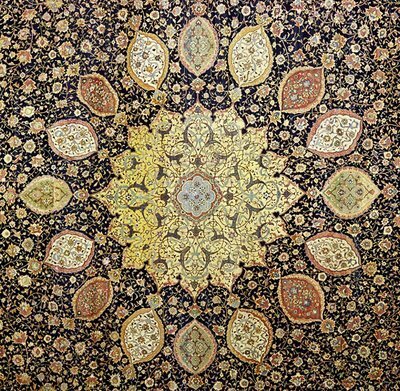 Through its deeply expressive power this picture has attained the status of icon in the history of art. The universal angst of the age and the personal angst of the individual here reach their apogee. But "Scream" also expresses the universal struggles in life and what it is to be human." "Scream" and "Madonna" in the Munch Museum collection were in the artist's possession when he died in 1944, and part of his bequest to the City of Oslo. 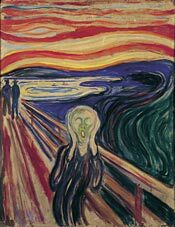 "In "Scream", humanity's desperation and angst is emphasised by the strikingly harsh colours and the restless, agitated lines of the background. The characteristic wavy brushstrokes that Munch introduces in the 1890s are related to the ornamental painting of symbolism and art nouveau. Yet by contrast with their carefully calculated decorative effects, Munch's brushwork is spontaneous and unpolished, becoming a direct physical expression of the artist's inner turmoil. At the same time, this dynamic approach is an important part of Munch's portrayal of himself as the ostracised, mentally unstable genius." 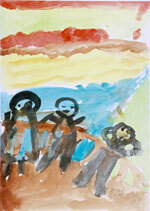 Child's painting made after the theft of "Scream" and "Madonna" in 2004. For those with children in Norway the museum holds an Edvard Munch Children's Workshop for kids, aged 5 to 8, once a month and on special occasions. The students learn about Edvard Munch as an artist, his life story and spend time looking at and asking questions about the Munch paintings in the museum. Afterwards they work on their own paintings in the children’s workshop. The workshops are held in Norwegian. I wonder if the Norwegian artist Laila Carlsen was able to take part as a child? I paint Buddhas when the world seems to call for them. As a father I can barely begin to understand the loss of a son. The death of David Grossman's son Uri during the recent fighting between Hezbollah and the Israeli Army in Lebanon clearly shows the costs of war. I paint Buddhas in the hope that courageous men like the writer David Grossman will continue to seek peace through dialogue and understanding. It is much more difficult to sit down at a negotiating table and hammer out differences than it is to lob missiles over the border or to drop bombs in retaliation. A world without prejudice, brutality or war is a world which I wish to leave for my son. The goal seems naive or laughable to some but the non-violence of Gandhi and Martin Luther King, Jr. bore great fruit. The New York Times reports that Uri Grossman - "the son of Israeli novelist and peace activist David Grossman has been killed in southern Lebanon ... just days after the author urged the government to end the war with Hezbollah guerrillas." "Uri Grossman was born on August 27, 1985. He was supposed to celebrate his 21st birthday in two weeks. Uri studied at the experimental school in Jerusalem. He reached the armored corps and fulfilled his aspiration to be a tank commander. He was about to be released (from the army) in November, travel the world, and then study theater. Friday evening he spoke, from Lebanon, with his parents and sister. He was glad that a decision on a ceasefire was taken. Uri promised that he will be eating the next Shabbat dinner at home. Uri, son to David and Michal and brother to Yonatan and Ruthie, had a fabulous sense of humor and a big soul filled with life and emotion." "On Sunday, the war brought disaster home to Grossman when his son Uri, a 20-year-old staff-sergeant, was killed by an anti-tank missile that hit his tank. The younger Grossman was taking part in a major military offensive in the southern Lebanon village of Hirbat Kasif, aimed at sweeping the area clear of Hizbullah fighters ahead of Monday's expected cease-fire. Two other soldiers and an officer were killed in the same incident." David Grossman, the author of such internationally recognized novels as "Someone to Run With", "The Yellow Wind" and "The Zig-Zag Kid", has long been an outspoken left-wing activist. In his 2003 book "Death as a Way of Life", Grossman presented a sobered but still resiliently liberal view of the Arab-Israeli conflict. 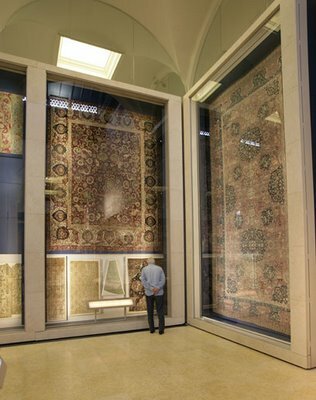 In early 2005, he said at a literary fair: "Everyone knows that the conflict will end. The writing has been on the wall for a number of years. This is our chance to write history, and not be victims of it." Of Israel's struggle to live in peace, he said, "We hope to become a story like any other story. But for God's sake, not a larger-than-life story, just a story of life." The New York Times continues, David Grossman, whose novels and political essays have been translated into 20 languages, is an outspoken advocate of conciliation with the Arabs and of ending Israel's occupation of the West Bank. But, like most Israelis, David Grossman supported Israel's retaliation when Hezbollah fighters attacked an army patrol inside Israel on July 12 and unleashed a barrage of rockets on civilians in the north. 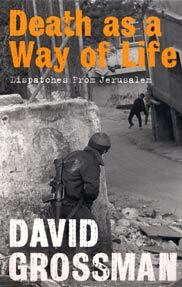 By Thursday, David Grossman, said the war had gone on long enough. The turning point came the previous day when the government approved a plan to launch an 11th-hour campaign to inflict a devastating blow to the guerrillas. In a joint news conference with fellow novelists Amos Oz and A.B. Yehoshua, Grossman denounced the plan as dangerous and counterproductive. Grossman, an Israeli-born son of a refugee from Nazi Europe, urged Israel to accept a proposal by Lebanese Prime Minister Fuad Saniora -- which later formed the core of the U.N. resolution for ending the conflict -- calling for the deployment of Lebanese troops in southern Lebanon with the help of an international force that would end Hezbollah's virtual control over the area. ''This solution is the victory that Israel wanted,'' Grossman said. He warned that stepping up the offensive could trigger the collapse of Saniora's government and the strengthening of Hezbollah -- the very force Israel set out to destroy. "But who can hope for love between nations? Who really loves anyone in this world? (Of course, I'm referring not to people but to nations.) Do the English love the French? Do the Germans love the Russians? Perhaps we should even ask: Do the West Germans and East Germans love each other? "Interests" is the key word, and it is the guarantee that the agreement will work. The two peoples have signed on to the agreement because they understand that they have no other choice. After decades of mutual bloodletting, they have come to terms with the idea that if they do not live side by side they will perish together, in a maelstrom that will engulf the entire region. It is existential interest that pushed these two reluctant peoples into each other's arms. The United States and Japan, and the Europeans led by Germany, now have to turn peace into a practical and enticing option for both sides. A flourishing economy, new jobs, a sense of freedom, reinforcement of everything in life that was damaged or paralyzed during the years of occupation and Intifada-all these can significantly strengthen those Palestinians who want peace. Similarly, the right-wing extremists in Israel will have difficulty arguing with a concrete improvement in the economy, in the quality of life, in the sense of security. The fundamentalists of Hamas will fight a war of despair and no quarter. They will try to create a nightmare atmosphere. Only a robust creative reality, full of life and hope, will succeed in withstanding them. We need to begin creating that reality now, immediately. Neither romantic love, then, nor a high wall. I dream of two countries separated by a distinct border. A border that will make clear to each state the space in which it exists as a political entity, as a national identity. If there's a border, there is an identity. There is a new living reality in which this identity can bleed out the poison of illusions and begin to heal. One more important thing: This is a condition in which-years from now-the two sides will be able to give themselves a new kind of definition-not one contrasted with an enemy, but one that turns inward. One dependent not on the fear that they might be destroyed but instead on the natural development of a nation, on its system of values and the various facets of its character. This is a decisive change. For years, both sides have suspended the internal dialogue that each must have. The state of continual conflict was a reason and an excuse for not addressing their fundamental, authentic problems, a reason for just trying to survive one more violent conflagration. 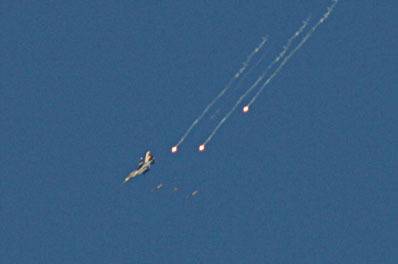 I can definitely see that such a new process of defining ourselves, the Israelis, will bring about tremors and changes. It will require a painful assessment of our definition of ourselves today in relation to our Jewish heritage. It will force us to confront our complicated history anew, and to consider the possibility of choosing a new way of relating to the world outside us. If peace is established between us and all the Arab countries, we will also be able, finally, to internalize the fact that we are part of the Middle East. We will comprehend that our presence here is not the result of some bureaucratic-geographical error, but rather that this is the place in which our lives will henceforth be conducted, and it would be well for us to open ourselves to the world and to the culture of our neighbors. Clearly, such a step can be taken only if we have partners, if the Arab countries no longer view Israel as "a cancerous growth of imperialism" (as Israel has been termed on many an occasion in the Arab press) but rather as an integral, stimulating, and vital part of the Middle East. If we can reach and live with this vision of the end of days, we Israelis may well permit ourselves-after years of instinctive self-denial-to believe that we have a future. That we may dare to believe that we will finally have continuity and prospects. That death will not cast its shadow on everything in our lives. Perhaps we will be able to free ourselves from that sense of doom that lies deep down in our collective consciousnesses-that, for us, life is only latent death. This is the true meaning of self-determination. I have always believed that when Israel agrees to grant this right to the Palestinians, it will also win it for itself. Now the moment has come for the Israelis, for the Palestinians, and for the other sane nations in the region. Here it is now: the Future." "Die Blechtrommel (The Tin Drum)"
In an interview with the Frankfurter Allgemeine Zeitung, German Nobel Laureate Günter Grass admits that, between 1944-45, he was a member of Hitler's Weapons SS. 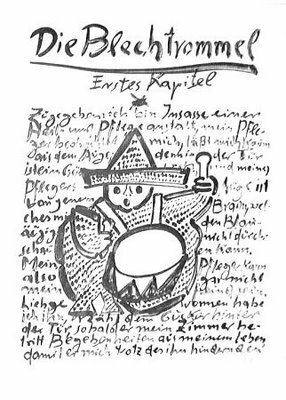 Günter Grass says the shame of his youthful naivety has long haunted him and that it will now be his "Scarlet Letter." One of the most powerful organizations in Nazi Germany, the SS played a key role in the Holocaust, operating the death camps in which millions died. But by the war's end when Grass was inducted, most were drafted and many under 18.
" At first, says Grass, he saw the Weapons SS as an elite unit, and not as something "repulsive." It wasn't until later that he became plagued by feelings of guilt. "For me, the whole thing was always tied to this question: Could you have realized what was going one at the time?" "Grass says he has always known that the day would come when he would have to talk about this part of his past. Did he miss the right opportunity to discuss his SS membership? "I don't know," says the author, artist and poet. "It's certainly the case that I believed what I did as a writer was enough. After all, I went through my learning process and reached my own conclusions. But there was still this lingering blemish." "More amusing than sensational is Grass's recollection of a boy named Joseph, with whom he spent time in a prisoner-of-war camp. When asked whether this 17-year-old was in fact, Joseph Ratzinger, the man who became Pope Benedict XVI, Grass says: "He became my friend and we played dice together. I had managed to smuggle my dice shaker into the camp. I wanted to be an artist and he was interested in a career in the church. He seemed a little shy, but he was a nice guy." "Like Grass, Joseph Ratzinger, now Pope Benedict XVI, was in fact imprisoned at Germany's Bad Aibling camp. Whether the Vatican will comment on Grass's recollections remains to be seen." After serving in World War II, Grass ended up in Berlin, where he studied art. 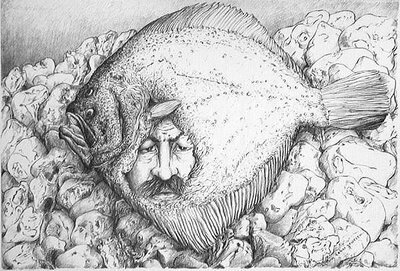 Having trained as an artist, Mr. Grass began his career with a book of poems illustrated by his own drawings. 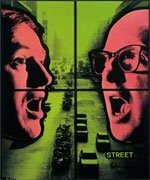 Grass became well known as an author and a biting social critic but has continued to produce visual art over the years. Vivien Raynor in an article from the New York Times published on March 28, 1982 reviews Grass' lithographs: " The visions of the artist, which are inextricable from those of the writer, have roots that go much deeper than the 20th century. The prints, with their implications of dazzling white light, their sinuous but firm lines and their textures that range from rich black hatching to a delicate gray stipple worthy of Aubrey Beardsley, are strange in the way that the works of Arnold Bocklin, Otto Runge and Max Klinger are strange." "Yet political turmoil in Israel, Gaza, Lebanon, Iraq and beyond only underlines the challenge of using the past to illuminate the present. Put differently, can 400 carefully chosen objects, some dating to the 11th century, provide us with any fresh insight into what is happening in the Middle East today?" 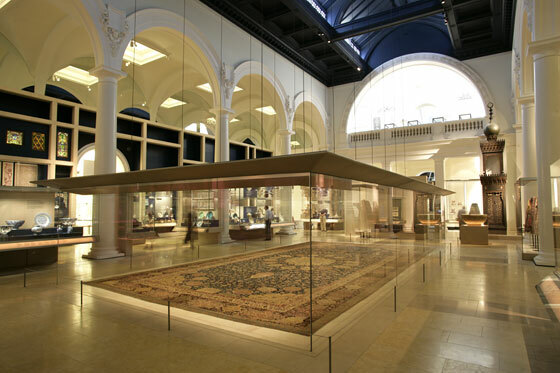 The Jameel Gallery of Islamic Art at the Victoria & Albert Museum, London is a long overdue re-installation of the Islamic collection at the V&A. Students and instructors at the nearby Royal College of Art often stop by the V&A for lunch. 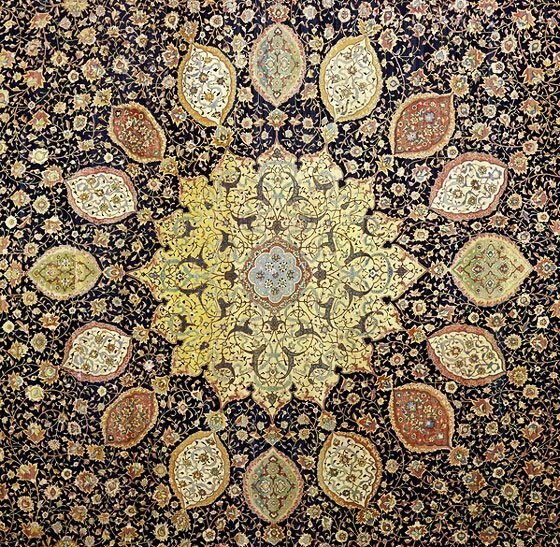 Maybe this collection of beautiful and politically charged artwork will inspire the artists of London and beyond to delve deeply into the connections and ideas found in these objects rather than repeat the tired diatribe coming from the talking heads in the Middle East, Europe and America. 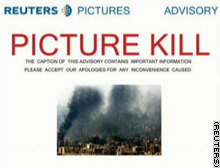 A Picture Kill notice has been sent out by the by the Reuters News Service and Beirut based freelance photographer Adnan Hajj has been dropped by the agency for Photoshopping news photographs of the Israeli-Hezbollah conflict. 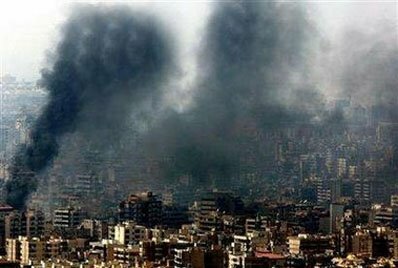 Reuters also reports that they have "withdrawn all photographs taken by the Beirut-based freelancer after establishing that he had altered two images since the start of the conflict between Israel and the Lebanese Hezbollah group." "There is no graver breach of Reuters standards for our photographers than the deliberate manipulation of an image", said Tom Szlukovenyi, Reuters Global Picture Editor. "Reuters has zero tolerance for any doctoring of pictures and constantly reminds its photographers, both staff and freelance, of this strict and unalterable policy". 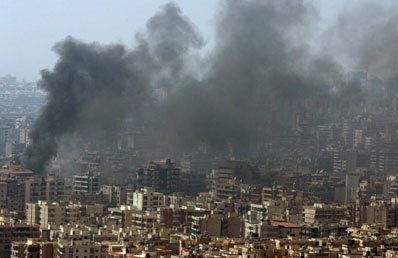 "Reuters terminated its relationship with Hajj on Sunday after a review of a photograph he had taken of the aftermath of an Israeli air strike on suburban Beirut the previous day found it had been manipulated using Photoshop software to show more and darker smoke rising from buildings. "Manipulating photographs in this way is entirely unacceptable and contrary to all the principles consistently held by Reuters throughout its long and distinguished history. It undermines not only our reputation but also the good name of all our photographers," said David Schlesinger, the Reuters Global Managing Editor. Szlukovenyi said the mere fact that Hajj had altered two of his photographs meant none of his work for Reuters could be trusted either by the news service or its users. "This doesn’t mean that every one of his 920 photographs in our database was altered. We know that not to be the case from the majority of images we have looked at so far but we need to act swiftly and in a precautionary manner," Szlukovenyi said. The two altered photographs were among 43 that Hajj had filed directly to the Global Pictures Desk since the start of the conflict on July 12 rather than through an editor in Beirut, as was the case with the great majority of his images. Hajj worked for Reuters as a non-staff contributing photographer from 1993 until 2003 and again since April 2005."